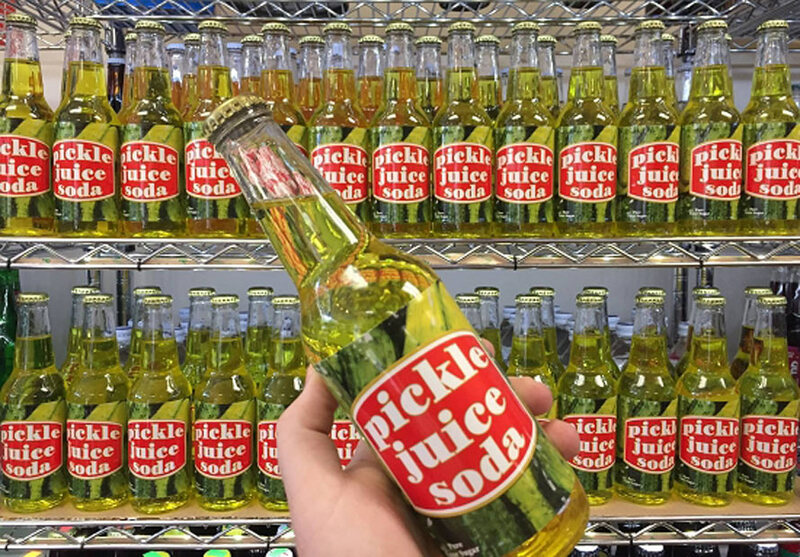 Grandpa Joe’s Candy Shop is selling PICKLE JUICE SODA. It’s made with pure cane sugar and a 12oz glass bottle will set you back $9.99. Why so steep? No idea! Personally I drink pickle juice straight out of the jar. You know, like a normal person.